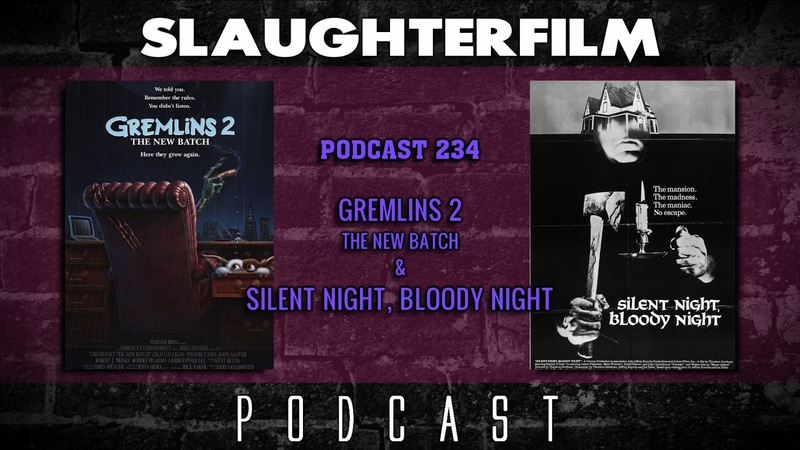 This week Forest shares his thoughts on a Joe Dante satirical classic, Gremlins 2 - which he mistook for a Christmas themed film. Cory reviews Silent Night, Bloody Night - a film that pretends to be holiday themed but is actually about pedophilia... yep. The Horror Duo also chat about preparing to share Christmas with their families. Forest talks about Nocturnal Animals, now in theaters and Cory hunts down more 2016 films to help contribute to his "Best of 2016". All this and the guys react to the re-imagined version of the Christmas classic Baby It's Cold Outside. For more Slaughter Film news and reviews, as well as show notes and special events, make sure to visit our website; SlaughterFilm.com. 44:27 "Silent Night, Bloody Night"